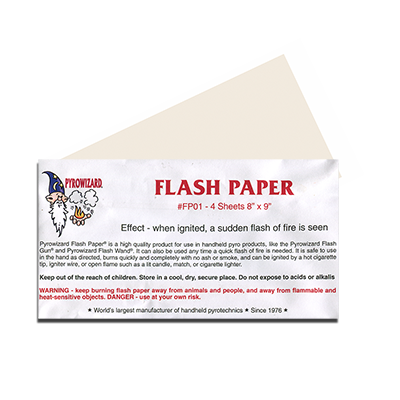 Today, when you order "Theatre Effects Pyrowizard Flash Paper Sheets", you'll instantly be emailed a Penguin Magic gift certificate. You can spend it on anything you like at Penguin, just like cash. Just complete your order as normal, and within seconds you'll get an email with your gift certificate. Unfortunately we are not permitted to ship any Flash products internationally. Due to shipping restrictions, FedEx Ground Service must be chosen as the shipping method when adding Flash products to your order. 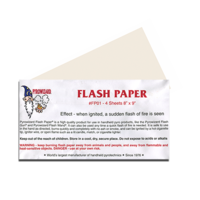 Good quality flash paper! I had no problem with it.